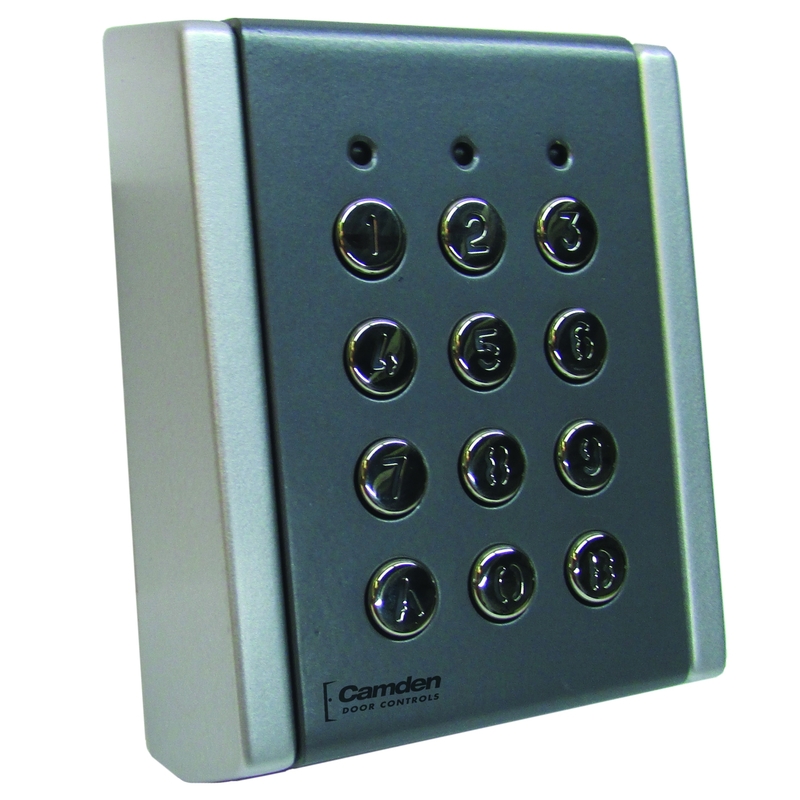 Camden Door Controls is introducing CV-710SL, a new metal backlit Wiegand keypad. Built for high traffic applications, it will support an unlimited number of users. CV-710SL is weather and vandal resistant, and designed for heavy-duty indoor or outdoor applications. The keypad may be used as a front-end access control device, wherever controlled entry or egress through an electrically locked door is required. CV-710SL is constructed specifically with metal keys, faceplate and a cast aluminum box designed to withstand heavy traffic and vandalism. It is IP-65 rated for dust and water resistance. The keypad supports selectable PIN code length and facility codes; and a tamper switch alarm output is provided. With a wide range of field selectable Wiegand outputs and audible and visual feedback, CV-710SL is compatible with virtually any access control system. There is a full three year over-the-counter warranty. “Camden has really outdone itself with the release of the new CV-710SL Wiegand keypad. With its great new features and construction, it will be ideal for a wide range of indoor and outdoor applications,” stated David Price, marketing manager for Camden.